ARE YOU READY FOR THE CARB BEFORE THE STORM? Before we talk Carbs I have some real exciting news!!!!! Run Selfie Repeat is getting a little shout out in the July issue of Cosmopolitan Magazine!!!!!! They were all “do you want to shoot the cover with Beyonce?” And I was all “No I’m so shy and modest.” (Ok that didn’t happen, slight exaggeration.) But still it’s really exciting! Keep your eye’s peeled for my teeny tiny picture in the glossy pages of Cosmo on stands in July! No Christina Hendrick's were harmed in the making of this photo. And on that note, I need to stop and say thank you for still reading. RunSelfieRepeat.com is almost 1 month old and we’ve already had about 10,000 hits. That’s an extremely humbling number. I am so grateful to have this outlet and to be able to encourage people to get active. Every time I have someone tell me they have decided to try the "couch to 5k challenge" (Still not sure read this and then tell me you can't do it) or try running in general, it’s the most unbelievable feeling. You all are so empowering and I am learning so much from each and every one of you. So thank you. Thank you from the bottom of my heart. Alright, let’s take a trip to Carbo Heaven! (Basically the Cabo of eating.) Here’s what you can expect if you’re carbo loading. So you’re running a marathon, are you ready for the carb before the storm? CLICK HERE. I am not going to lie, one of the top contributing factors as to why I decided to train for a marathon was so I could eat. I love food. Who doesn’t love to eat? Crazy people, that’s who. (No offense crazy people.) So when my best gal pal Irene explained carbo loading to me I was all, “SIGN ME UP!” Then I carbo loaded. And it is difficult! Consuming a slightly larger amount of calories than recommended is really easy. 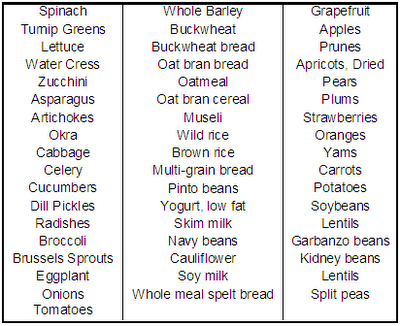 Consuming a slightly larger amount of calories of complex carbs and density rich foods is really hard. It’s actually kind of daunting because articles online all say different things but one thing they all agree on is that “you can screw it up.” But then I was all “You know what, I took a semester of nutrition, and I’m basically a doctor so I got this.” (Ok fine, I’m not even kind of a doctor but I learned so much from that course. One of the top 5 best classes I took in college.) Hold on while I wow you with some knowledge. So carbo loading, I’m a believer for two reasons. 1-It’s ridiculously fun and delicious and 2- I think it’s affective. ALTHOUGH for me I had a really hard time wrapping my head around eating the way I was eating during a taper. (Tapering is when you decrease your mileage before an endurance race so your body recovers from your intense training. We will go more into that later.) It was really hard for me to not want to “run it off” even though I knew my body needed the fuel and the rest. It was very bizarre. Here are 2 ways to effectively carb load. 1- Try carb loading before one of your longest runs of your training plan. 2-Stick to what’s familiar. (Carb loading for the first time the week of the race and not knowing how your body does with fiber is a recipe for disaster. Danger Will Robinson, Danger.) So try it out first and find what works and what doesn’t work for your body. This way come race day you will be running through “the wall” and not smacking into it. Here’s what I did when I carb loaded. Some articles recommend a full week where in the beginning carbs make up 50% of your diet and 3-4 days before the race switching to 70%. Others recommend 2-3 days before race day having carbs make up 85-95% of your diet while taking in 4g/lb of carbs. (1g carbs=4 calories) So do what feels right. Ask around for advice and success stories. I like eating a bit more than usually and mindfully for the week and then really going for it 2-3 days before a race. You also want to remember that your last meal before race day should be carb heavy but not huge and give yourself 12 hours to digest and convert. You want to wake up race day hungry. Foods to avoid: Cheese, butter, Alfredo sauces, deep fried foods etc. Eat mindfully. Don’t go to town on a greasy burger. You want healthy filling foods that will fuel you for race day. (See chart above for some delicious carby treats.) If you’re looking for a really good way to plan out you’re carb loading plan, this website is an excellent resource. Click here. Woohoo! Food! Carb Loading! Running Marathons! What do you guys do to carb load? Any favorite meal plans? Anything you have to avoid? Email me RunSelfieRepeat@gmail.com and remember to hashtag those race day selfies and training selfies this weekend #runselfierepeat. To everyone running Boston on Monday I hope you have a safe and beautiful race. We are all rooting for you. You’re all incredible.